Simone Crawley currently serves as the Executive Director for the Multiethnic Advocates for Cultural Competence, Inc. (MACC). Throughout her career at The Ohio State University, Simone served as a Page in the Ohio House of Representatives. She earned her degree in Political Science. Expanding her public policy background, she served as an aide to Assistant Minority Leader Charleta B. Tavares for three years. During her time at the Ohio Senate, Simone was also elected President of the Ohio Young Black Democrats where she aided in the successful campaigns of several legislative candidates. 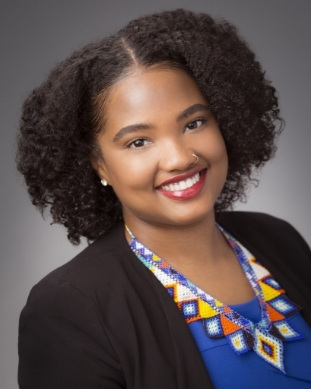 In January 2015, Simone began working to ensure cultural proficiency and improved health outcomes in Ohio as the Program Coordinator for the Multiethnic Advocates for Cultural Competence, Inc (MACC). She has served as the Executive Director since March 2016 and also serves as a Mental Health First Aid USA certified instructor. Daryl Griffith currently serves as the Marketing and Outreach Coordinator for the Multiethnic Advocates for Cultural Competence, Inc. (MACC). She joins the team as a recent graduate from The Ohio State University with a bachelors in Sociology and minors in Public Health and Business. Following graduation, Daryl began her career in public service as an Engagement Specialist with Equitas Health (formerly AIDS Resource Center of Ohio) in 2015. Her interest in communications and public policy landed her a role as the organization's first Community Outreach & Advocacy Coordinator. Daryl's previous experience has garnered skills in grassroots mobilization, community relations, social media strategy development and event coordination. As Marketing and Outreach Coordinator for MACC, she hopes to spread the organization's mission for cultural competence through innovative multimedia strategies and building strong community partnerships. Jordan Bare currently serves as the Administrative Assistant for the Multiethnic Advocates for Cultural Competence, Inc. Through his role he serves as an integral component of internal staff support by coordinating training requests, handling invoices, documentation of evaluations and collecting data for program improvement. Jordan graduated with an Associates degree in Business Management from Columbus State in the Spring of 2018. In the Spring of 2019, he will graduate with his Bachelors degree in Business Administration and Entrepreneurship.